Who will power the Consumers’ Power Trust? 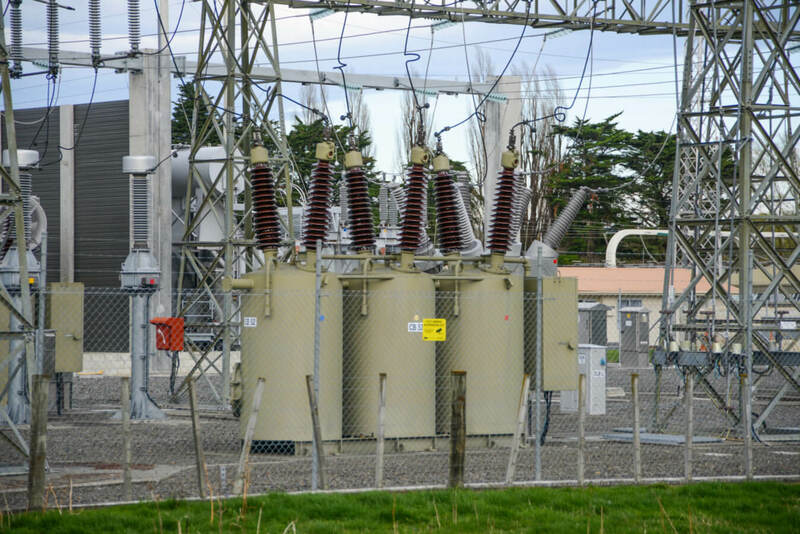 Sandwiched between our parliamentary election, culminating on September 23rd and the Hastings mayoral election, results on November 25th, is the far more ‘under the radar’ election of five trustees to the Hawke’s Bay Power Consumers’ Trust (HBPCT). HBPCT, as most BayBuzz readers would know, is Unison’s sole owner on behalf of consumers, appoints the company’s board of directors and approves its investments over $10 million. Eligible voters by now have received their voting papers, which must be returned by Monday, October 2nd. In the past, this particular election has hardly been electrifying, generally a mere rubber-stamping of incumbent trustees. But this year a real contest has emerged that deserves voters’ attention. With two incumbents having served their maximum three terms, the remaining three incumbents – Diana Kirton, Helen Francis and Ken Gilligan – seem desperate to cling to their seats. These three face a host of ten challengers, but most formidable of these is a slate of five – Kevin Atkinson, Barbara Arnott, Chris Tremain, Russell Wills and Peter Dunkerley. The contest between the two groups has become intense. The ‘Incumbent Three’ have – mischievously in my judgment – resorted to scare tactics, claiming that the ‘Power of Five’ group would threatened the annual dividend payment (this year $200) so-treasured by the 59,000 consumers eligible to vote in the Trust election. That false claim – captured in their slogan ‘Your cheque, your choice’ – seems to be the only basis of the group’s re-election bid. The trio sought to capitalize on their cheque-delivery identification by advancing payment of this year’s cheque to before the election, as opposed to its normal November delivery. Their version of ‘power pork politics’. The ‘Power of Five’ group has made quite clear that they are committed to the annual dividend paid directly to consumers, and in fact wish to see it increased if increased profitability on the part of Unison is achieved. They have also committed that power consumers should be consulted on whether any portion of increased dividends Unison pays to the Trust in the future – over and above the guaranteed consumer payment – should be directed toward support of other worthy community initiatives. The existing Trust actually does just that, without consultation, devoting nearly $2 million of its dividend to putting overhead powerlines underground, subsidizing home insulation and safety testing of electric blankets. However, when the ‘Power of Five’ proposes transparent public consultation on whether there should be any diversion of dividends (after guaranteed payment of individual consumer cheques), the ‘Incumbent Three’ hypocritically portray this as somehow a sinister plot. Given that Unison’s future profitability is the sole driver of (hopefully) growing dividends, which of these two teams is best qualified to oversee Unison’s future path? The Commerce Commission appropriately determines – and effectively, caps – the profitability of Unison’s core lines business. Moreover, the company faces flat lining of electricity demand as consumers and businesses become more energy efficient and, in the longer-term, even less dependent on grid-supplied electricity (think solar and consumers generating their own power). Any real growth in Unison’s revenue will come from the kind of diversification into non-regulated energy businesses, such as transformer manufacturing, recently begun during Kevin Atkinson’s tenure as Unison chairman. Protecting – let alone growing – your dividend cheque will require an entrepreneurial Unison attuned to revenue opportunities outside its conventional lines business. I strongly support this path and believe the ‘Power of Five’ team is far better qualified to help provide the seasoned judgment and the vision required of Unison as the energy environment evolves in ways that empower us consumers. Is the ‘Power of Five’ group motivated by some sinister plot? Here’s their plot: a) guarantee your consumer cheque; b) ensure consumers continue to own Unison; c) consult with the public on any community use of additional dividends; d) review the excessive $22,000 per person fee now paid to trustees. Shocking! Does that sound sinister?! Kirton, Francis and Gilligan are attempting, unbecomingly, to paint as sinister five individuals each with outstanding – I mean, really outstanding – records of service to the Hawke’s Bay community. Atkinson: sinister. Arnott: sinister. Tremain: sinister. Dunkerley, sinister. Dr Wills: wildly sinister. Yeah, right. I’ll take the ‘Sinister Five’ over the ‘Incumbent Desperate Three’ any day! However you come down on this choice, please vote. Response to recent Trust elections has been less than 25%. If you don’t have your voting papers, call the Trust at 873-8037 and get a fresh ballot. P.S. Somewhat lost in the shuffle are five other candidates: Garth Cowie, John Geoghegan, Giles Pearson, Bill Reilly, Liz Remmerswaal. Good on them, but with battle lines drawn, I suspect it will be tough for any of these to break into the top five. Don’t count out Liz. Tom! Tom one thing in your favour is that you are well versed in the power of 5!!!! I will confess that I have voted online, and have voted for a brand new Broom to sweep a few of the trough feeders off out to greener pasture, it’s time for some fresh faces with fresh ideas perhaps. Can you please be reminded that there are a massive amount of HNZCI rental houses in the Unison catchment, that might help explain the low voter turn out. My latest Power account was $503 half of that went to Unison, that is a huge amount of money per month to get my Electricity to my Gate, I want as much as I can returned to me via a dividend, why because we are seriously over charged in the beginning!! Tom it’s like our water fee in our Council Rates demand it was $226? Per Quarter, tell me where was that fee spent over the passed time?? because when Council got tripped up they slugged us AGAIN!! To fix their problem when the annual fee was used elsewhere obviously!! Unison is going to return record profits for many years to come, everything about Unison is now brand new and pristine, they are now out of things to upgrade, so the Piggy Bank is going to grow into a big fat Pig very quickly, so we the consumers need to be reimbursed for some serious overcharging, I base this on the fact that does it really cost $250 to get Electricity to my gate per month!!!??? “When the ‘Power of Five’ proposes transparent public consultation on whether there should be any diversion of dividends” the article says. Well, when the power of five recommend public consultation they have the intention of diverting dividends if they can get away with it. Otherwise why even bother. People like this should not be allowed anywhere near public office. The last little effort of with the big dam rort (Wilson,Hewitt, Pipe et al) demonstrated the risk of encouraging the asset strippers and cost ratepayers many millions of dollars.